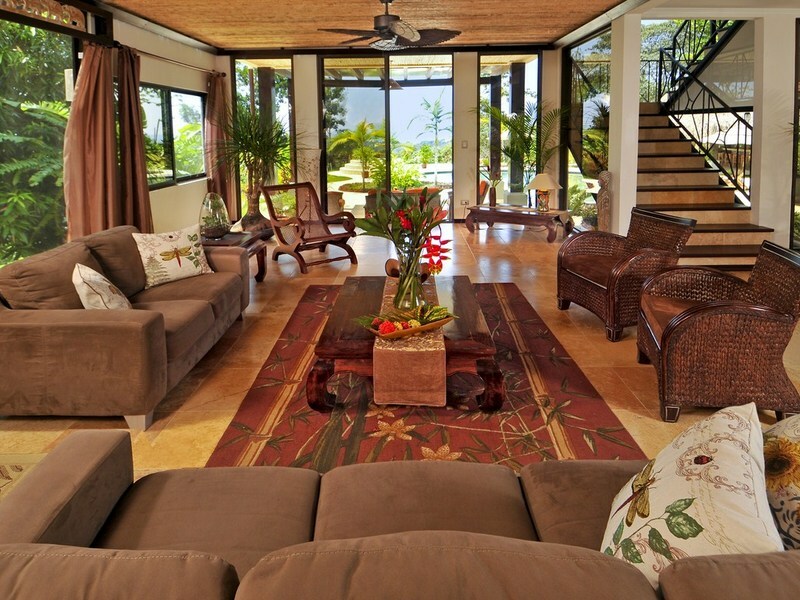 This Luxury Ocean view home is located in the town of Uvita Bahia Ballena, walking distance to area waterfalls, shopping, restaurants and only a short few minute drive to nearby beaches, world class dining and other area attractions. 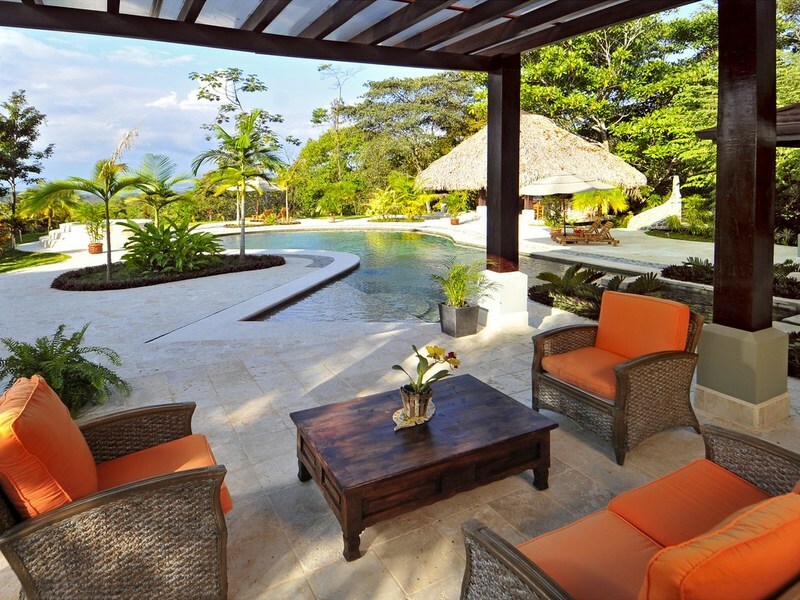 The resort style design of the home is warm and inviting, making it the perfect home for family vacations or luxury retirement living. 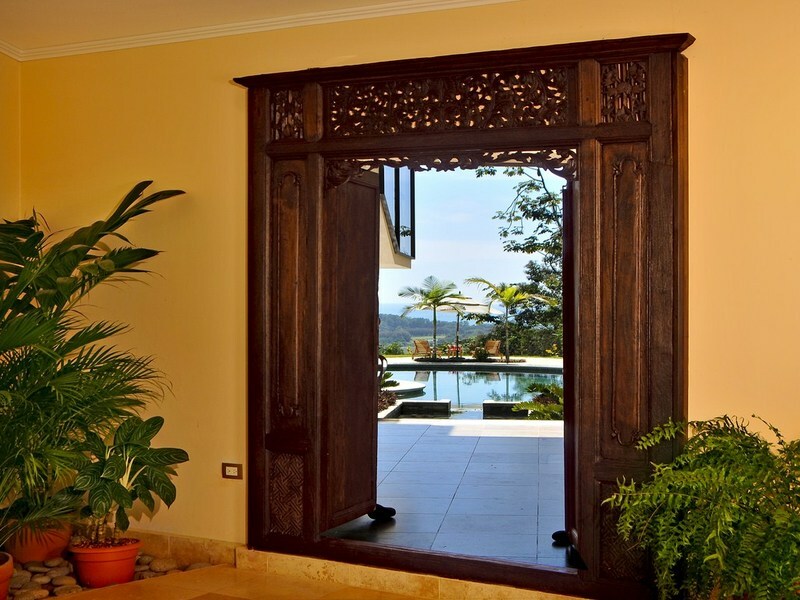 The authentic Balinese teak doorway welcomes you into this tropical escape. The floor to ceiling windows highlight the beautiful surroundings as they extend off into the horizon of the Pacific Ocean. 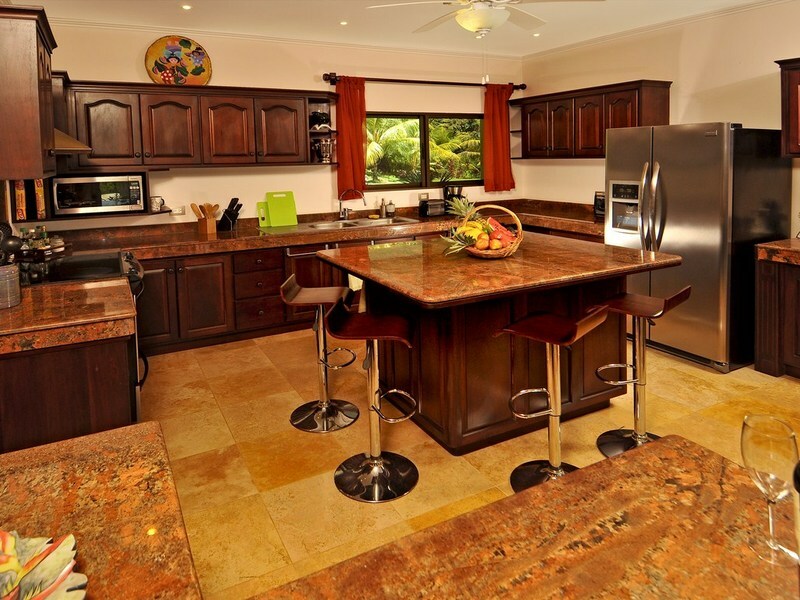 Off to your right is the spacious kitchen, with granite counter tops, custom cabinetry, professional grade appliances and breakfast island for casual dining. 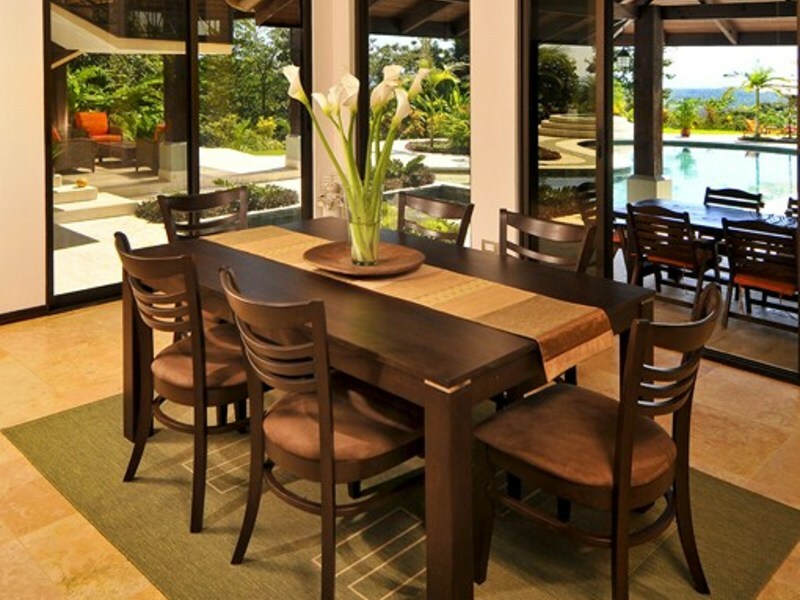 The adjoining interior dining area for 6 is perfect for use in the late evening, while the adjacent outdoor dinning table is excellent for luncheons or sunset meals. 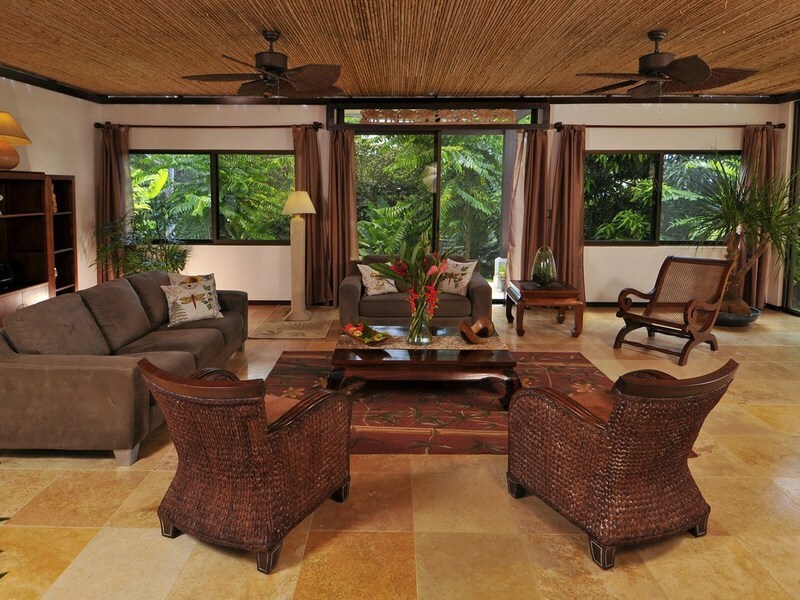 To the left of the entryway is the main lounge area, with caña brava ceiling, tropical design and floor to ceiling windows over looking the outdoor lounge area. 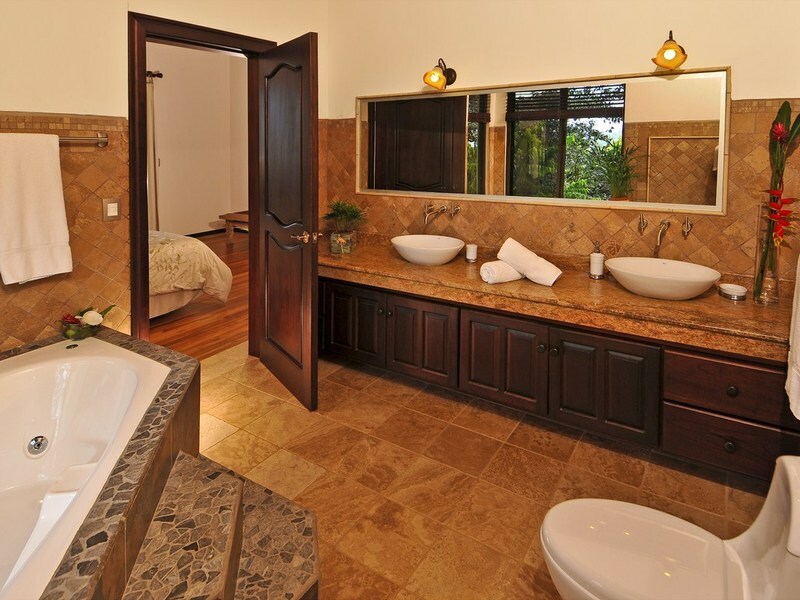 The main floor is finished with tavertine tiles, rich coloring and elegant accents. No doubt the outside nook located off the main lounge room will become one of your favorite places to sip on freshly brewed coffee while enjoying the aroma of the flowering lavender trees. The tavertine and iron work stairway, encased by glass, leads you to the second floor living area, great for relaxing on a rainy afternoon. 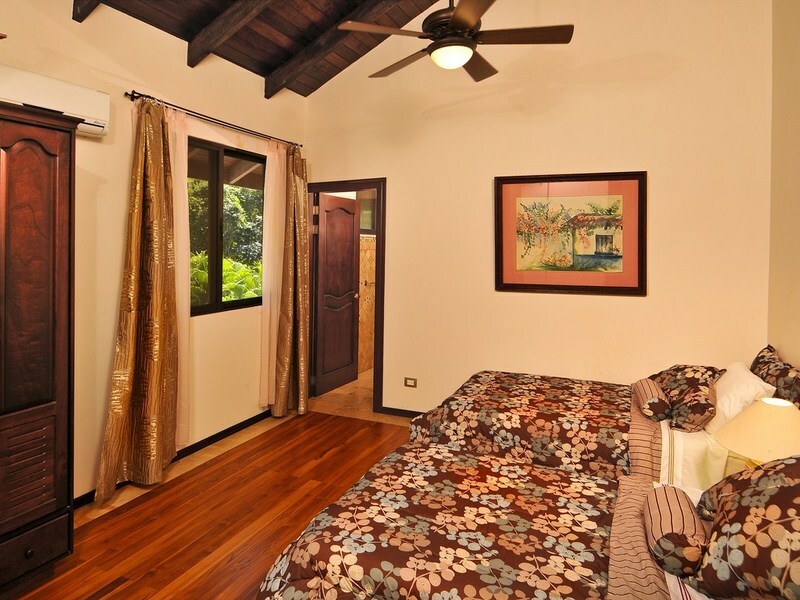 The master suite is spacious yet cozy, complete with walk in closet, air conditioning, en suite bath with jaccuzzi and private balcony with Ocean views over looking the Marino Ballena National Park. 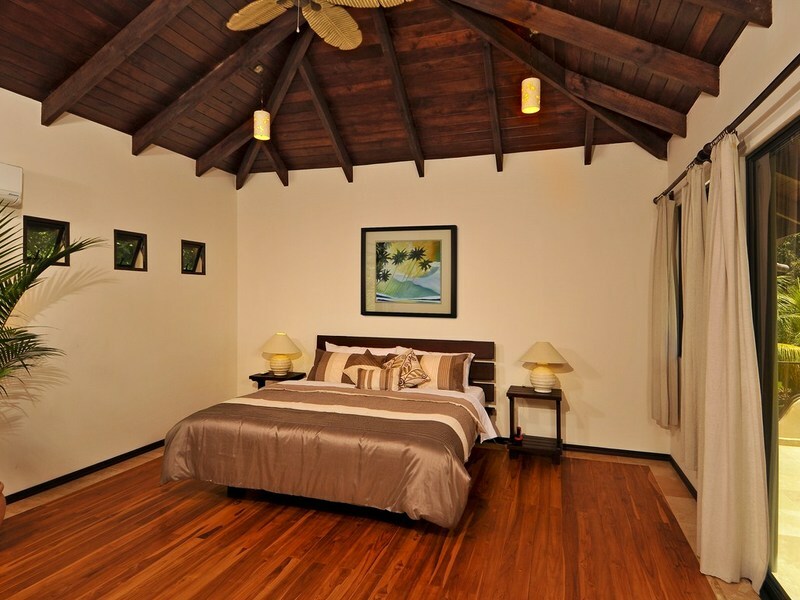 Two additional large guest rooms both are equipped with air conditioning, en suite bathrooms and private ocean view balconies. 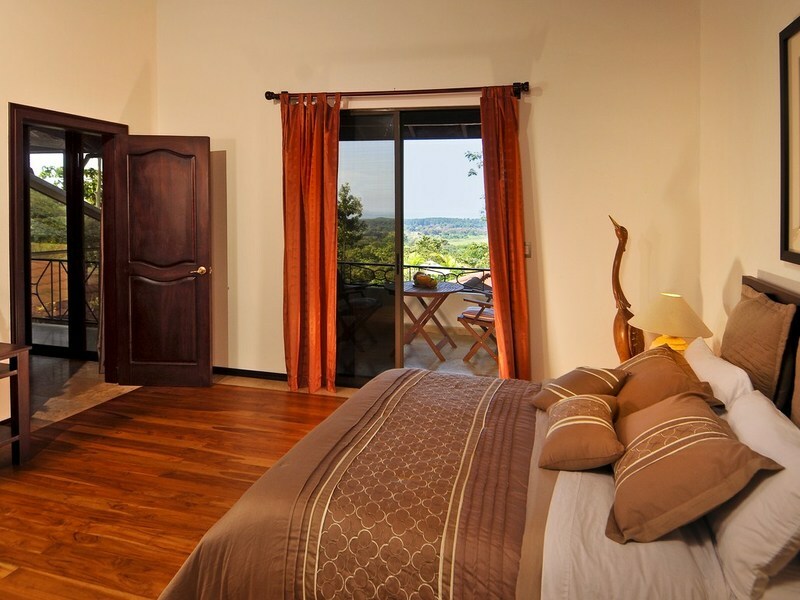 Also, there is a fourth guest room with air conditioning and en suite bathroom. 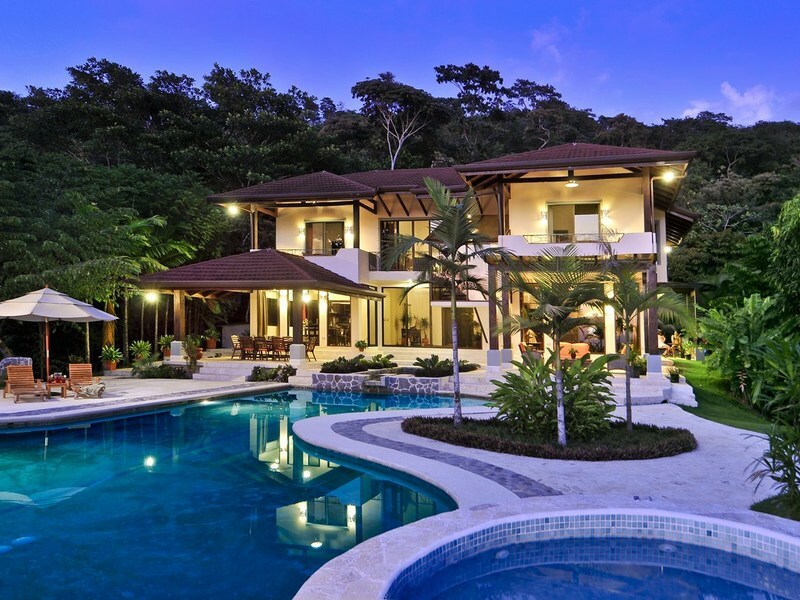 The 300 m2 coralina tiled outdoor patio surrounding the swimming pool, with zen water feature and jet pool, is the ultimate place for relaxing and entertaining. The 1,200 sq. 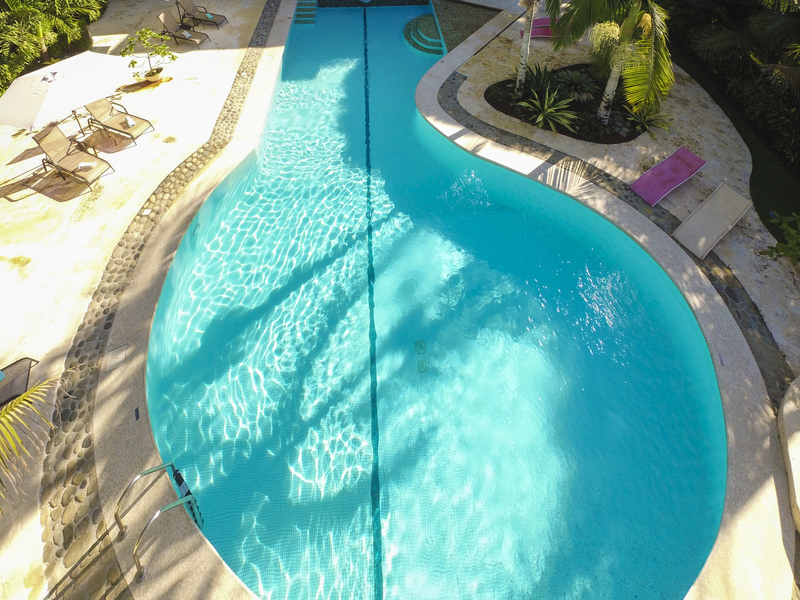 ft. swimming pool is finished with sealed concrete floors, which give it a deep sea coloring, as if you have a piece of the Pacific to call your own. The patio is landscaped with tropical plants, giving it a resort feel, as well there is an outdoor shower and half bath for freshening up after returning from the beach. The 430 sq. 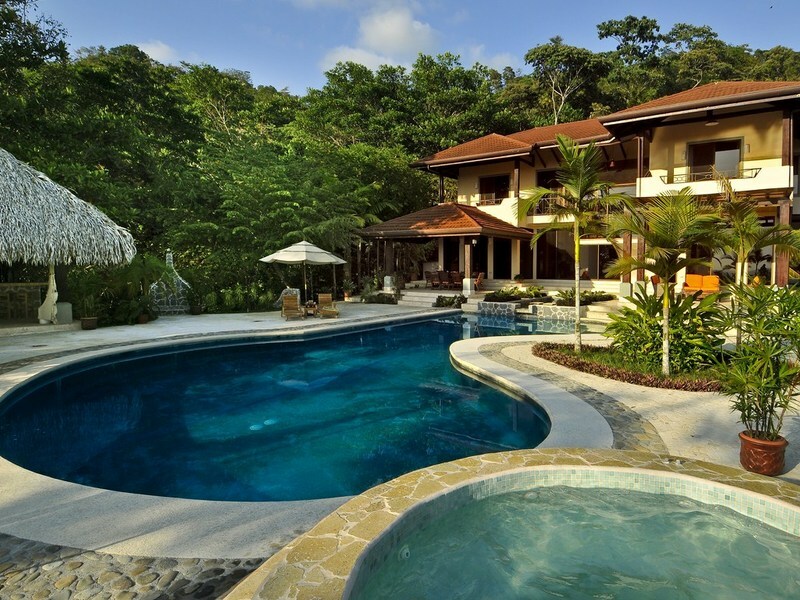 ft. poolside rancho is fitted with dining table, kitchen area and BBQ, ready and waiting for those sunny day fiestas! A two bedroom, one bathroom home is located behind the main home, which currently houses a caretaker who provides 24 hour security, the entrance to the property is also gated for security. 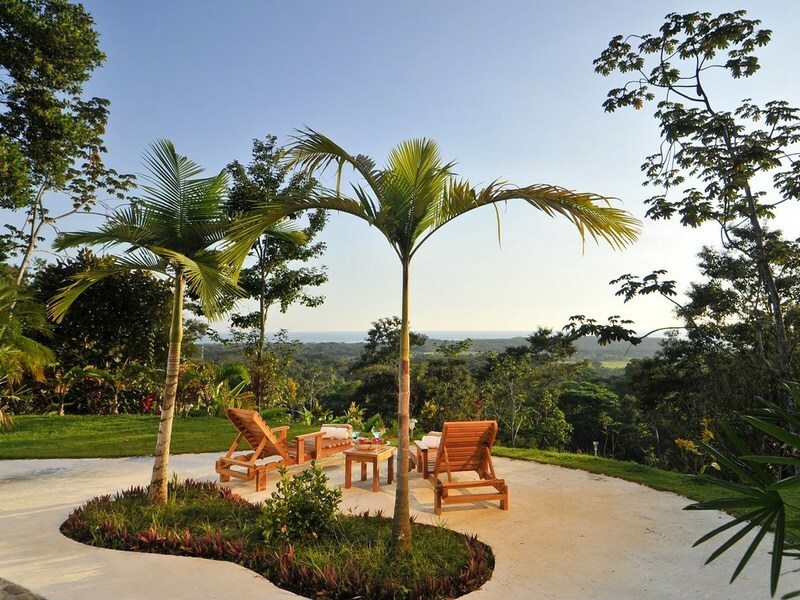 The property sits on a ridge at an elevation of 245 feet, just enough to experience refreshing ocean breezes, while still being able to hear the crash of the waves. 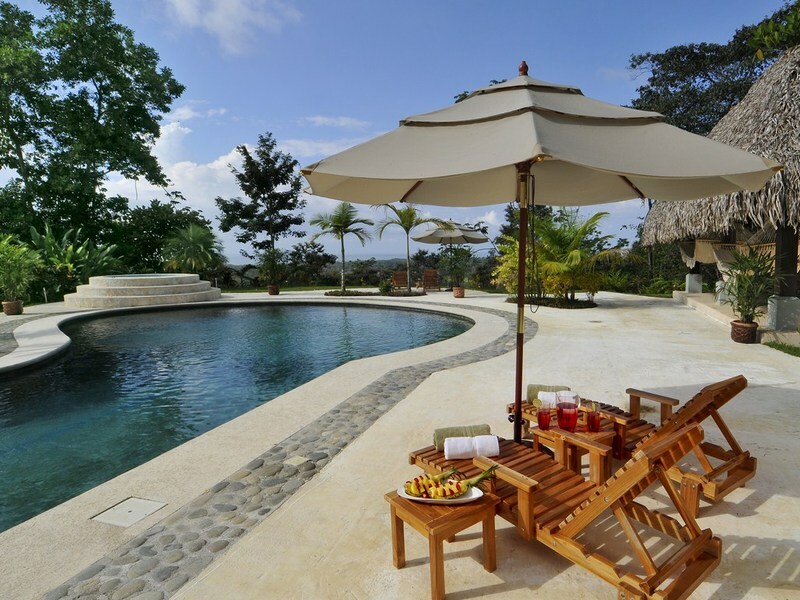 This property is a rare find due the combination of location, design and views. It is primed for enjoyment! Contact us for a showing today.